Laketown, Utah is a small community along the southern edge of Bear Lake in Rich county. On a ridge near town is the 147.02 repeater (positive offset, 100.0 Hz tone.) 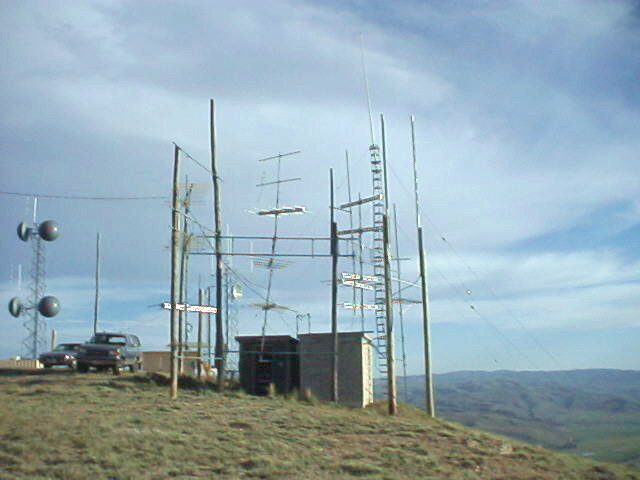 This repeater is permanently tied into the Intermountain Intertie hub repeater on Hidden Peak provides coverage of Bear Lake and surrounding communities as well as some coverage into the extreme southwest corner of Wyoming. 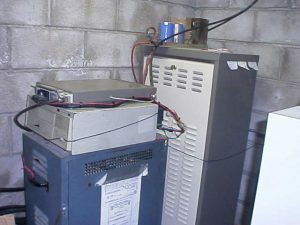 This repeater is located on at a site that is primarily used for TV translator service – that is, to relay TV signals into the Bear Lake communities. 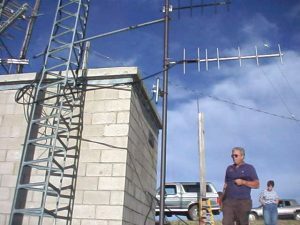 Having numerous TV receive and transmit systems on-site makes for a site with a lot of antennas – as the picture shows. 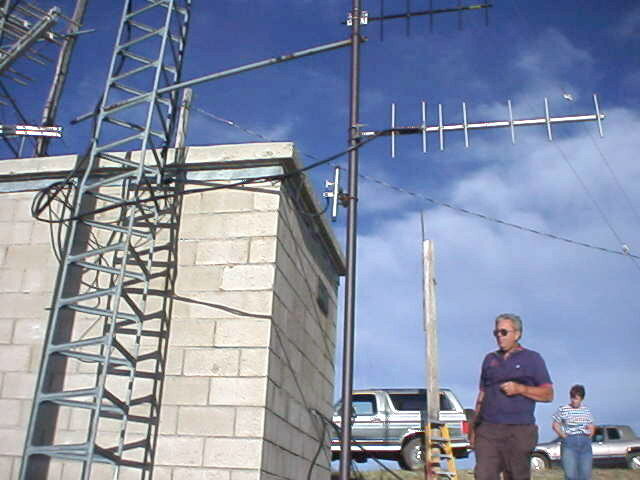 Because of this isolation, the amateurs involved in maintaining this site, Eldon Kearl -K7OGM and John Lloyd – K7JL struck on an idea to provide a community benefit: There was no coverage of the Bear Lake area by NOAA Weather Radio at all – and due to its remote location and budget constraints, there was unlikely to be coverage very soon. Why not provide coverage for the weather service? John – who knows several people at the Salt Lake NWS office – asked about this, and they seemed to be very willing to help. 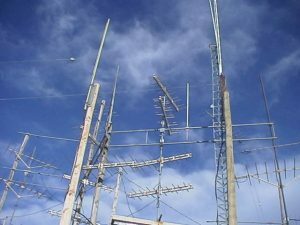 John and Eldon would do the hard part – that is, procure and install the radio equipment as well as provide a site, and the NWS would provide a signal to feed the audio and the license to operate the transmitter. Thus, after a year or so, it was on the air! For several years the NOAA transmitter used commercial GE radio gear – functioning as a simple repeater, taking the 410 MHz feed from Mt. Logan and retransmitting it on 162.500 MHz to cover Bear Lake with the callsign of WXL-63 and more recently, it was upgraded by the NWS with a more powerful transmitter. From its first day, this system has provided good coverage of Bear Lake and the surrounding communities. The 147.02 repeater and its linking equipment, as well as the old NOAA NWS transmitter. Click on the image for a larger version. As far as is known, this is the first instance where Hams had actually provided equipment for and a home to a National Weather Radio transmitter, providing a community service as well as allowing the scarce NWS budget to be used elsewhere.